If you were waiting for the arrival of Android 7.0 Nougat on your BQ-5058 Strike Power Easy, then here is a good news. Those who were wondering to install the latest Stock ROM Firmware on your device, can now rejoice as they can flash the latest software on their device. 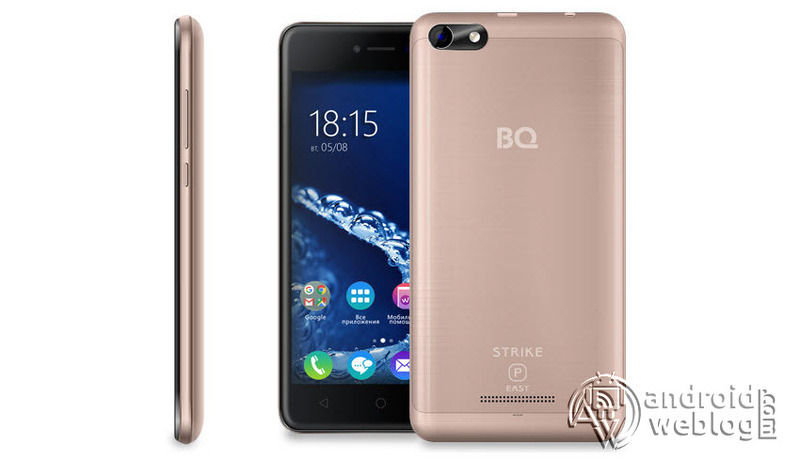 BQ has officially released the Stock Android 7.0 Nougat for the BQ-5058 Strike Power Easy. The Android 7.0 Nougat is latest, and predecessor to the about to be released, Android 8.0 O software. The Official Nougat Firmware comes with the various Bug fixes, Security patches, and improve overall stability of the device. So, if you own a BQ-5058 Strike Power Easy, you can install the latest update for your device, which comes with BQru_5058_7.0_07, and is based on Android 7.0 Nougat. The update often aims to increase system stability and increase the performance of the device, as well as adding new features. All BQ-5058 Strike Power Easy owners may already received the OTA Update notification on their device. You might be already aware of the fact that Android Team fixes the vulnerabilities found in the operating system time to time, and releases the updates on timely manner. The OEMs, then push the Security Updates with patched/ fixed Android vulnerabilities in the form of OTA and Stock ROM updates. Updating your smartphone through OTA Firmware update do not delete the data. The BQ-5058 STRIKE POWER EASY is the smartphone with huge 5000mAh battery. As the name suggests, the Power Easy reflects the purpose that the phone can run for days on single charge, as this is the most highlight feature of the device. The device is powered by MediaTek MT6580M processor, running at 1300 MHz processor, paired with a 1GB of RAM. This hardware ensures that uninterrupted performance, ultimate graphics, and lag free operation of the smartphone. Thanks to the Android 7.0, all of the latest apps are supported, while utilizing the full power of the processor, The smartphone is equipped with a 5-inch display with 854×480 pixels resolution. The device measures 145 x 73 x 10.5 mm, and weighs 187 grams. The smartphone has a brushed cover design, and boasts of a 2.5D glass. 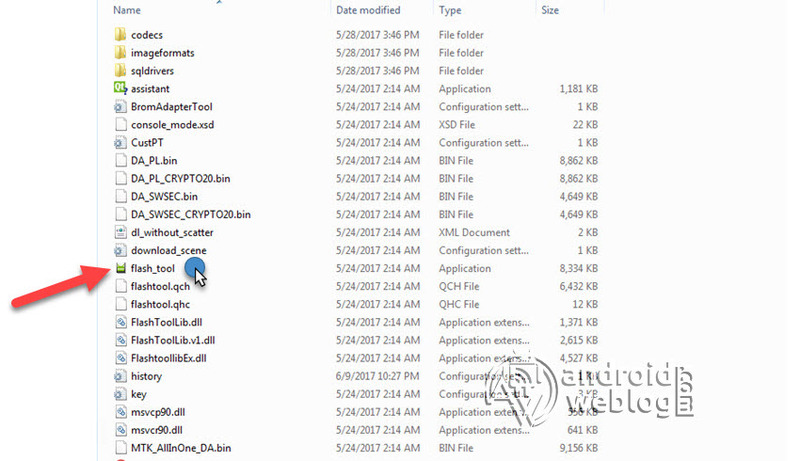 In the below guide, we will be guiding you step by step process to flash/ install latest BQru_5058_7.0_07 Android 7.0 Nougat on BQ-5058 Strike Power Easy. The download link for this Stock ROM has been added to the pre-requisite section. You can simply flash the Stock Firmware .zip or .img file manually through SP Flash Tools, if you have not received it through the OTA update. Updating or flashing the Stock ROM firmware or Custom ROM firmware updates certainly without any doubt comes with risk to brick device. If you brick the device, while upgrading the firmware of your smartphone, then kindly be in touch with the Official Service center of BQ near your location. AndroidWeblog.com in no way will be held responsible for warranty void or your bricked device. When a new software update is available for your device, the notifications panel will display the software update message. Just you need to pull down the notification bar, and then press ‘Software Update’, and this will begin the upgrade process of device BQru_5058_7.0_07, based on Android 7.0 Nougat. Step 10: Now, hook up/ connect your BQ-5058 Strike Power Easy to the computer via USB slot. Connecting your smartphone will begin the flashing process automatically, and it requires simply a few seconds to complete. Step 7: At this point of the latest Stock Firmware Android 7.0 Nougat on your BQ-5058 Strike Power Easy device has been flashed. Now, you may disconnect the device from computer. You will see the message with ‘Green Check mark’ with ‘Download OK’ message. Congratulations, you have successfully flashed BQru_5058_7.0_07 Android 7.0 Nougat on your BQ-5058 Strike Power Easy device. If you faced any issue while flashing, then do not hesitate to let’s know in the comments section below.